Dimensions: 0.75" H x 13" Diam. When you want a simple way to dress up your table, this "beaded" charger is the perfect choice. 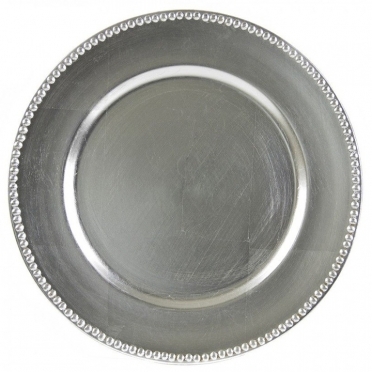 The entire piece displays a metallic finish that brings regalness to any event. 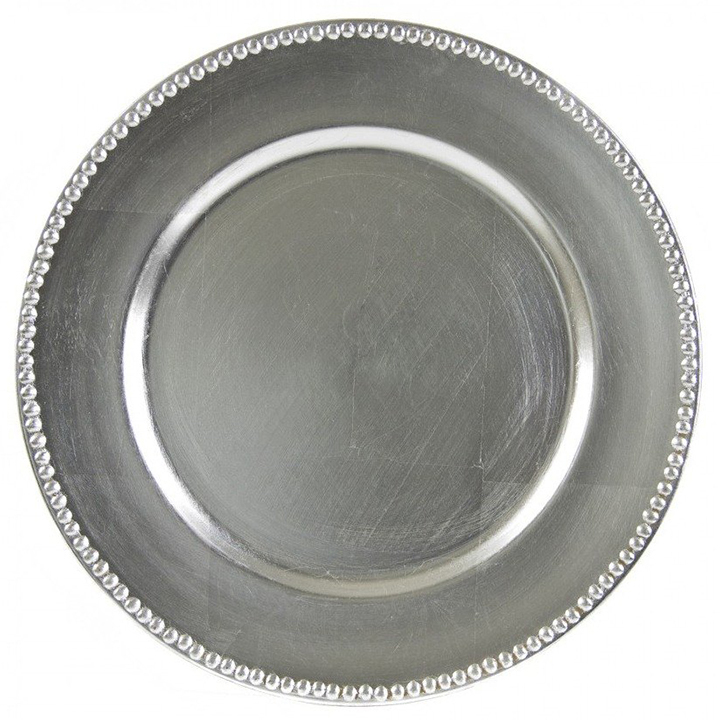 The rich texture and embellishments are perfect complements for a plain plate or bowl.